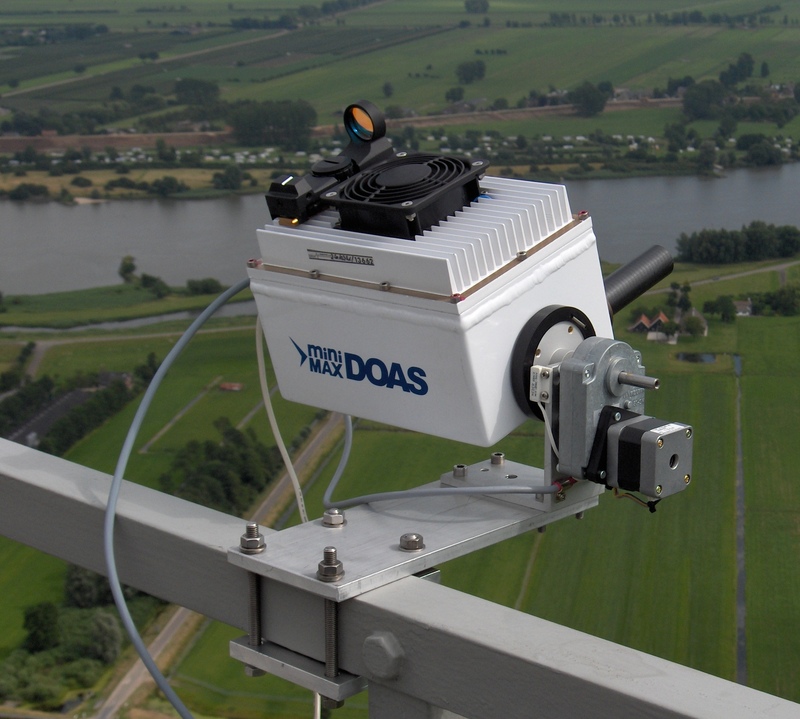 In the framework of the AGACC-2 project , a mini-MAXDOAS instrument has been installed at Uccle since May 2011, on the roof of the IRM-KMI building. On the site, Brewer and CIMEL instruments are also operated continuously. 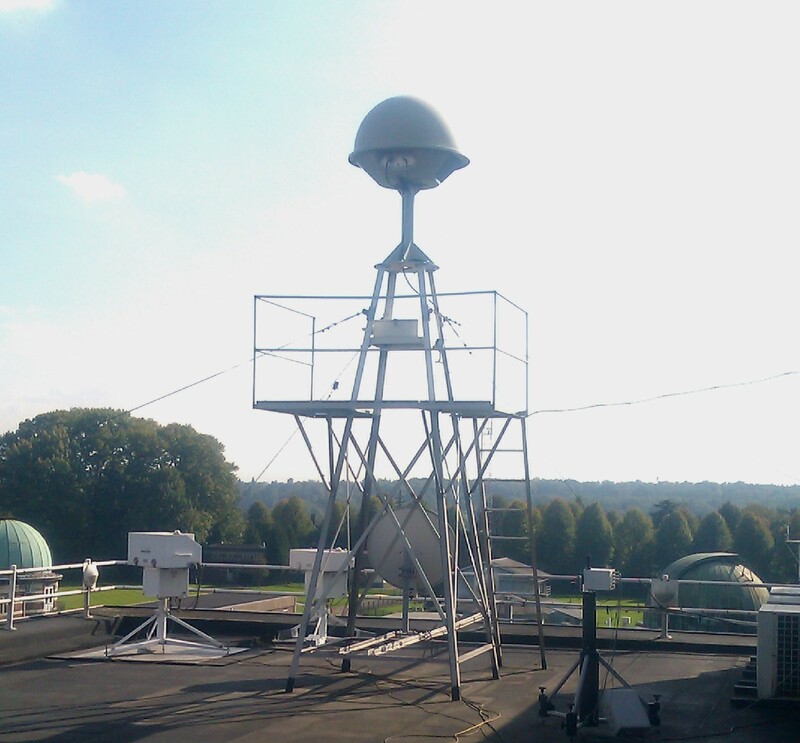 View of the MiniDOAS instrument, on the Uccle site. The mini-MAXDOAS is a commercial system from Hoffmann Messtechnik GmbH, consisting of an Ocean Optics spectrograph, diffraction grating, and a CCD detector. The whole instrument is contained in a compact metal box (13x19x14 cm3) mounted on a stepper motor, allowing the change in viewing elevation angle. The BIRA miniDOAS covers the 290-435 nm wavelength region with a resolution of ~0.6nm.